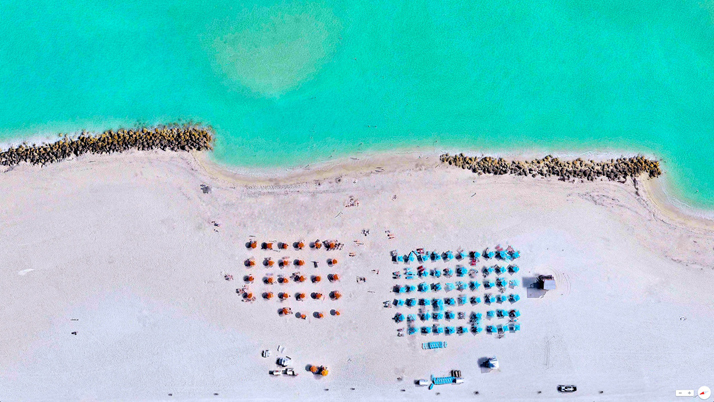 Earlier this year we presented the aerial photography of Zack Seckler, who transformed the wild landscapes of Botswana’s national parks into nearly abstract works of art. 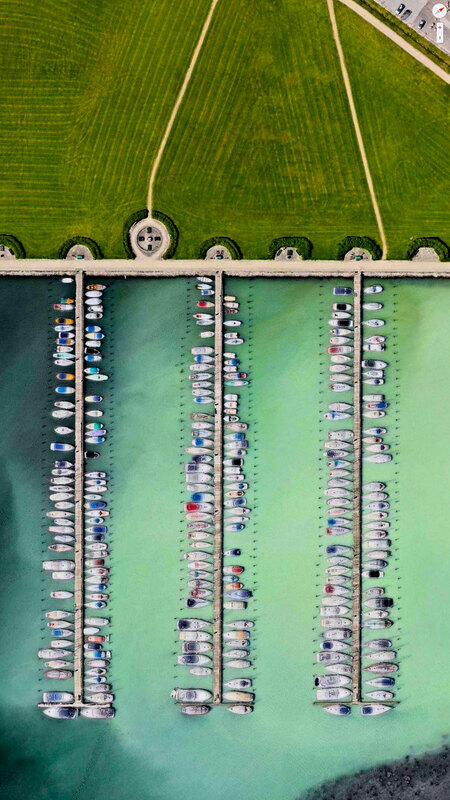 In a similar way, but from a significantly higher point of view, a new online initiative presents satellite images of our planet, which just like Seckler’s work possess the aesthetic of abstract visual compositions. 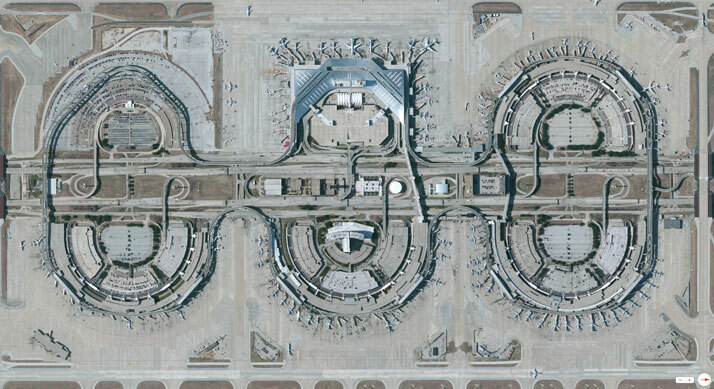 The Daily Overview website was launched in December 2013, and as its name suggests, posts a daily image of our cities and our infrastructure as seen from space. 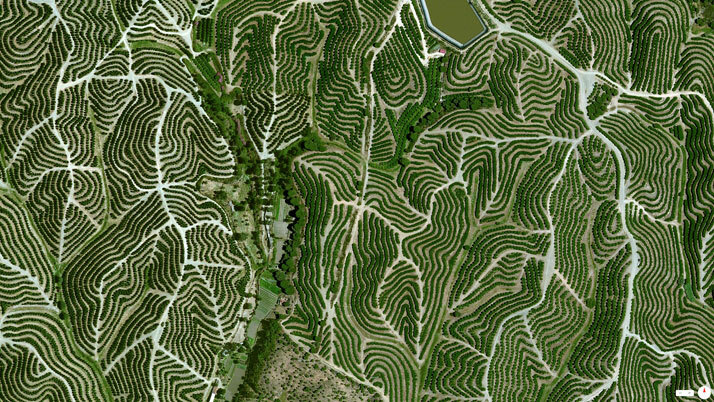 From the deforestation patterns of the Amazon rainforest to the mind-boggling intersections of Japanese motorways, The Daily Overview features snapshots of Earth focusing on the artificial rather than the natural world. 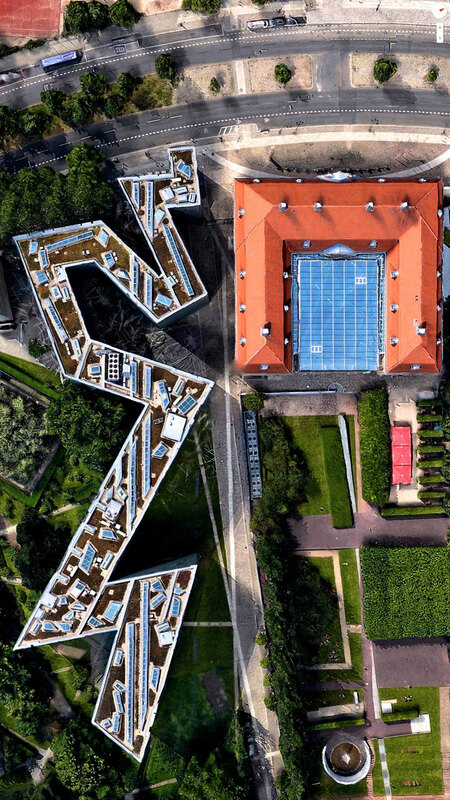 The initiative was inspired by a video released about a year ago titled ‘Overview’, where astronauts relate their impressions and emotions upon seeing the Earth from space for the very first time, also known as the Overview Effect. 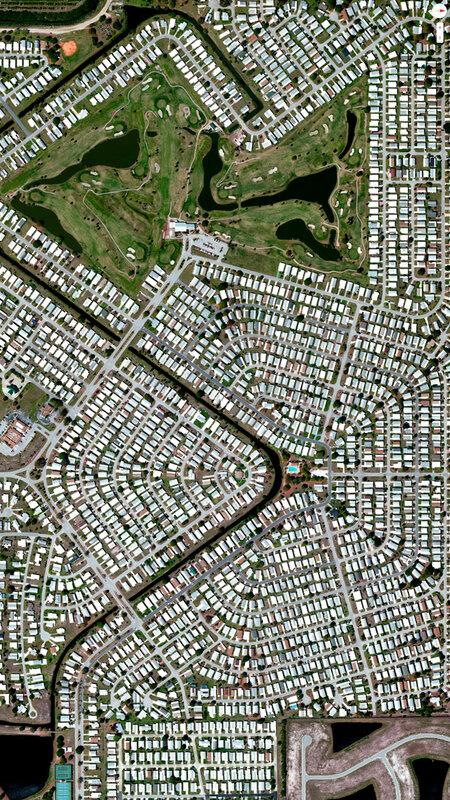 The Daily Overview project, through its website and social media feeds, provides a daily dose of awe-inspiring satellite photography – a good opportunity to take a moment and ponder upon the extent to which we humans and our civilisation have shaped (and in some cases damaged beyond repair) the face of our planet. 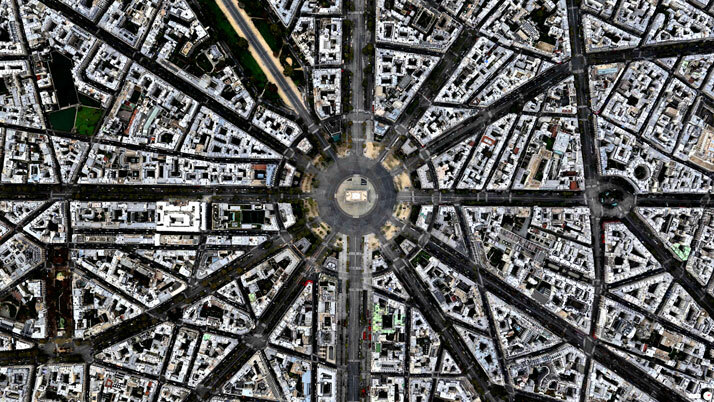 Overview captured with Apple Maps. 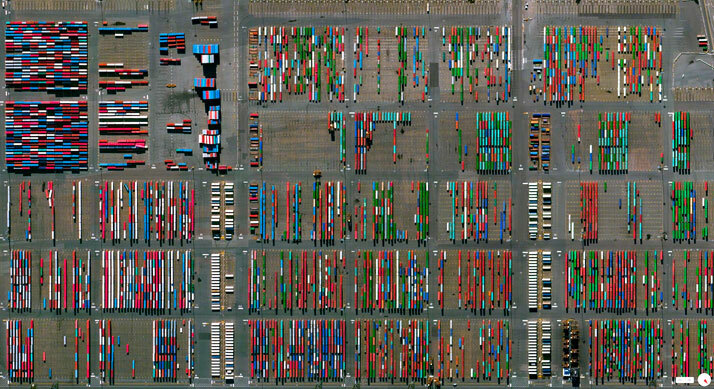 Satellite imagery from Digital Globe. 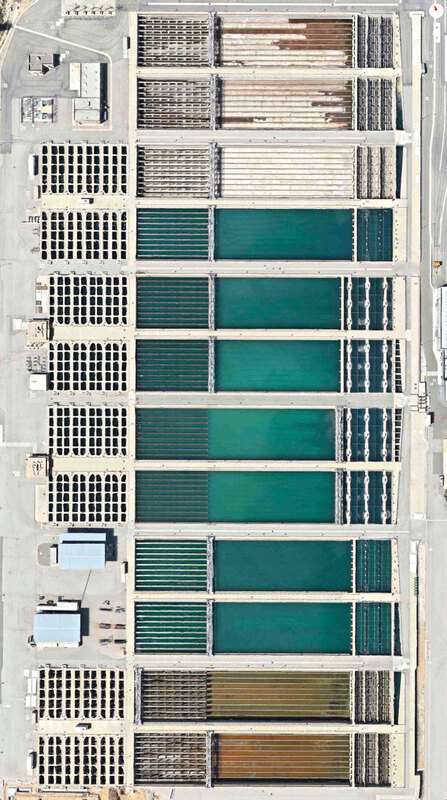 Joseph Jensen Water Treatment Plant, Granada Hills, California, USA. 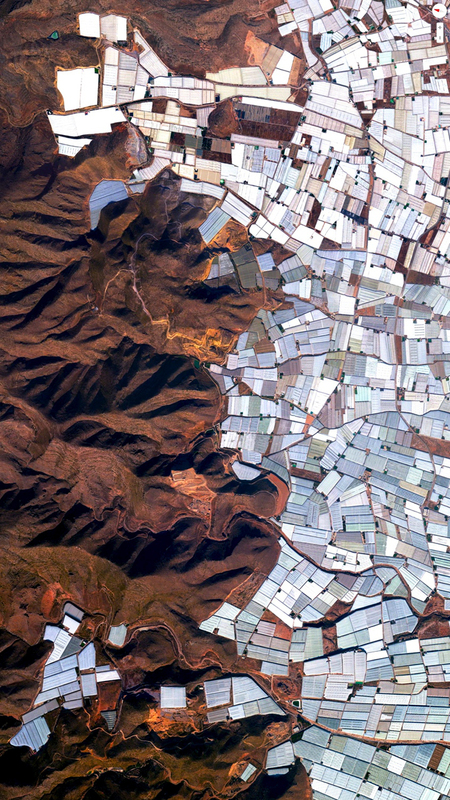 Plasticulture / Greenhouses, Almeria, Spain. 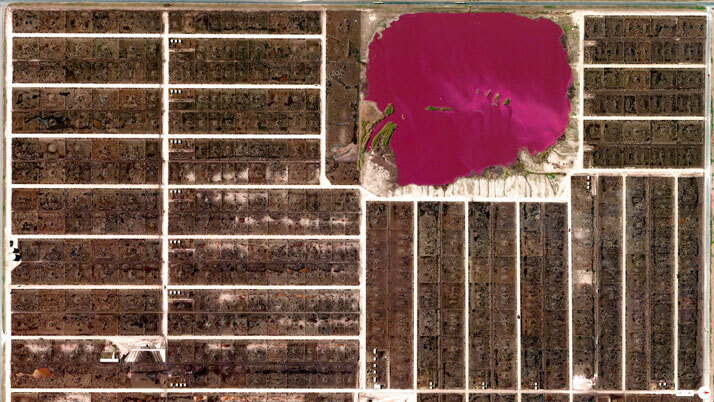 Cattle feedlots and waste lagoon, Summerfield, Texas, USA. 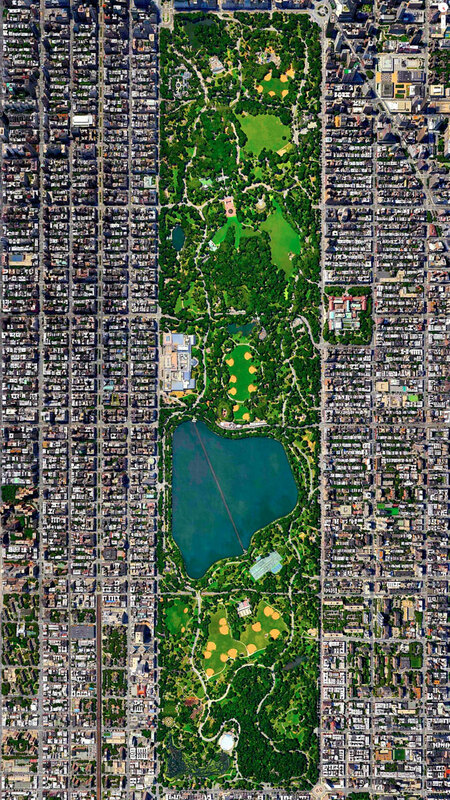 Central Park, New York City, New York, USA. 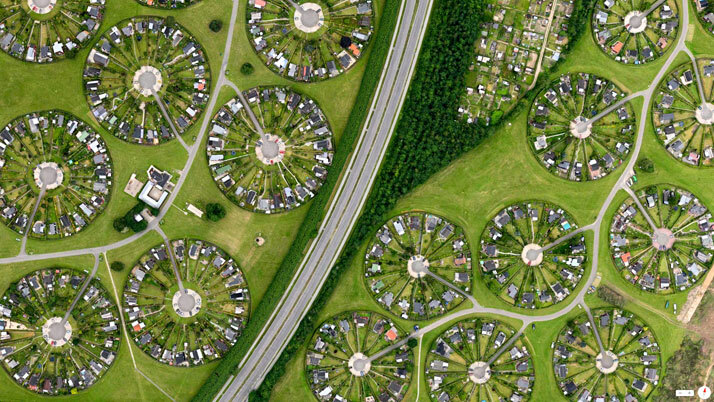 Brøndby Haveby, Brønby Municipality, Denmark. 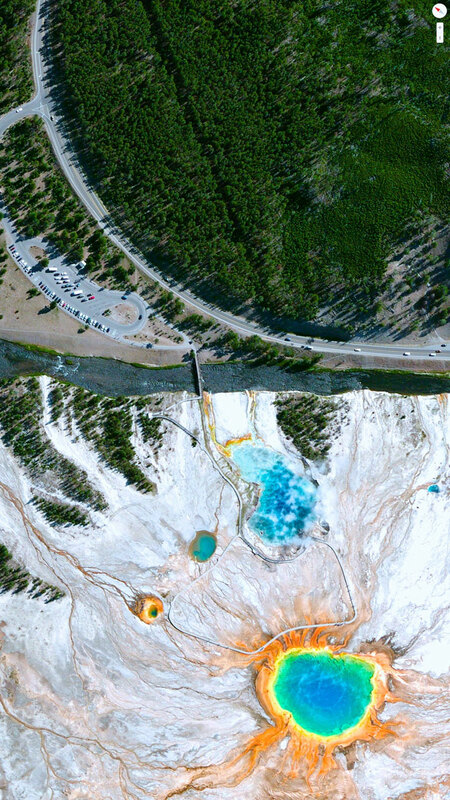 Grand Loop Road / Grand Prismatic Spring, Yellowstone National Park, Wyoming, USA. Riverbank Arena London, United Kingdom. 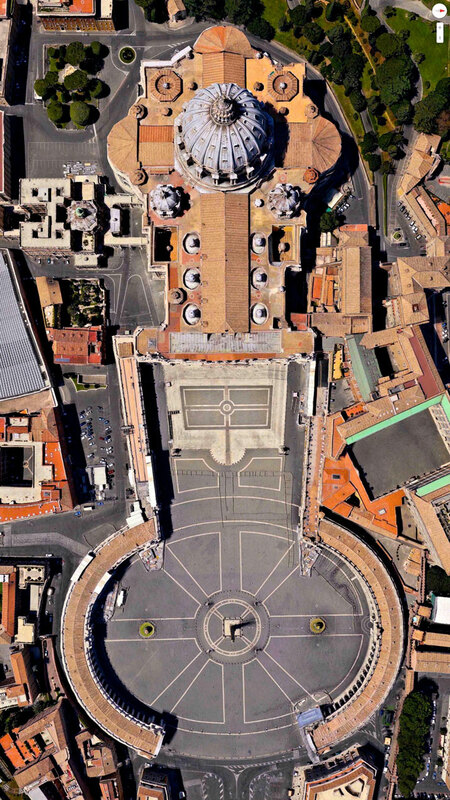 Easter Sunday, St. Peter's Basilica, Vatican City, Italy. Dragør Lystbådehavn (Marina), Dragør, Denmark. 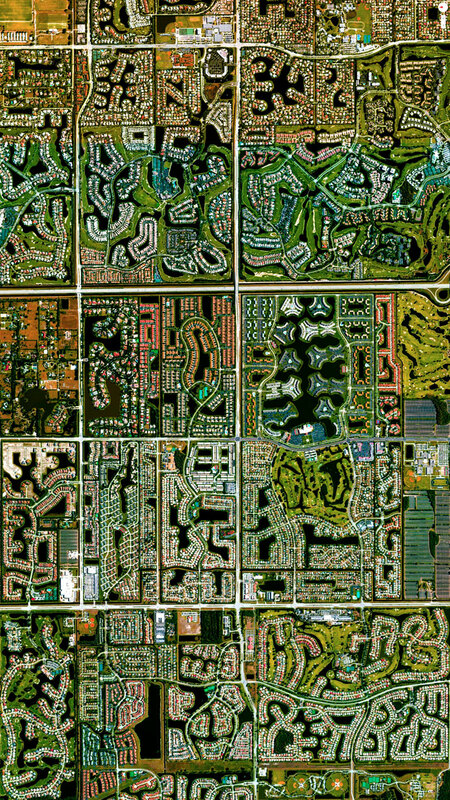 Barefoot Bay Development, Brevard County, Florida, USA. 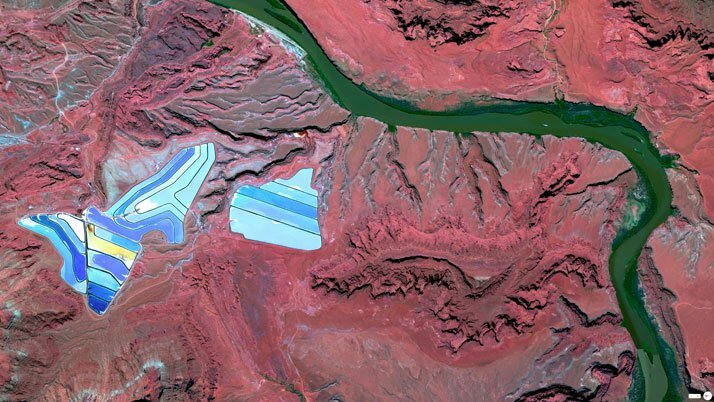 Settling ponds of Intrepid Potash mine, Moab, Utah.